Extending dining table & 4 chairs. Table, solid oak frame with oak veneer top, solid oak legs and rails. The perfect dining set for small dining areas. Table requires assembly, chairs are delivered assembled. 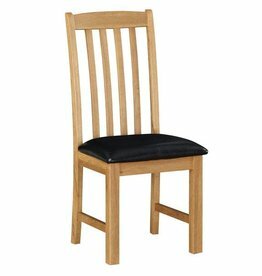 Cassia oak dining chair pair.